DNA testing has come a long way since its inception. What was once a rather convoluted procedure now involves just a few simple steps, at least for the customer. The direct-to-customer model revolutionized the field of genetic genealogy and brought it closer to the general public. How DNA testing works suddenly became a much easier question to answer, both protocol and science-wise. Here, we’ll cover all the stages between ordering a DNA test kit and inspecting your results. Most of the companies today cater their orders through their websites. Some of them even offer free pre-test consultations in order to determine the best DNA test for your specific needs. With others, however, you won’t even need to choose since they sport a single all-in-one test. Once the order is done, you’ll receive your personal test kit within a couple of business days. The kit will usually have a unique serial number, which you’ll use to register your sample on the site. You sample won’t be connected to your name or any other personal data, just your serial number. This ensures maximum privacy and anonymity. Saliva test kit – Tests using DNA from saliva usually feature collection tubes and a small funnel in order to facilitate the collection process. Once you’re done with collecting your sample, the funnel is replaced with a tube cap, holding a stabilizer fluid for sample preservation. 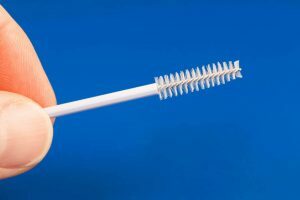 Cheek swab kit – Cheek swabs work by brushing the inside portion of one’s cheek with a cotton-tipped stick. The procedure is not painful at all and 2-3 brushes provide more than enough DNA for a successful test. These kits also contain anti-microbial fluid for sample freshness and preservation. In terms of effectiveness, both collection methods perform equally well. The only difference is that collecting your saliva sample may take more time than swabbing your cheek. With most DNA testing providers, you receive a pre-paid mailer in your kit, meaning all you have to do is secure the sample within the provided seal bag and dispatch the package. This doesn’t apply to companies shipping worldwide since disparate customs laws might apply to international shipping. Before you order anything, make sure to get well acquainted with the aforementioned laws in your country. Depending on the test itself, its variety, and the different features it offers, it might take up to 12 weeks or more for the results to come in. Basic autosomal tests should provide results within 4-6 weeks, depending on the company in question. Some providers offer free updates once you’ve successfully completed one of their DNA tests. You’ll also be given the opportunity to take part in numerous projects and help the advancement of science with your DNA results. What’s The Science Behind DNA Testing? Autosomal testing – This type of test inspects 22 pairs of your so-called “autosomal” chromosomes and uncovers your genetic ancestry throughout the whole specter of your family tree. Paternal lineage – Y-chromosome testing is used for identifying your direct paternal genetic lineage thousands of years back. Only males have the Y chromosome, so females cannot perform this test. 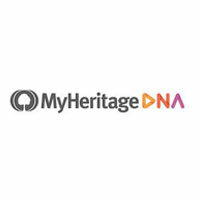 Maternal lineage – Mitochondrial DNA passes from mothers to children unaltered, thus enabling you to follow your maternal lineage thousands of years back.